Spokarnage, a three-day celebration and competition, brings roller derby to the Spokane Convention Center this weekend. A world of fine entertainment options await those who take the time to browse our event listings and Staff Picks. There's truly something for everyone, all ages and interests. COMMUNITY | The North Spokane Library is hosting a Star Wars Celebration Monday night from 6-9 pm, including food, games, trivia and a costume contest. A nice way to scratch that Star Wars itch while you want for December. LIVE BANDS | Brit Floyd, one of several Pink Floyd tribute bands making hay out of flying pigs and instrumental prowess, drops by The Bing tonight at 8 pm. SPORTS & OUTDOORS | The Fairways golf course in Spokane is hosting a free workshop taught by PGA-certified instructors. Putting, pitching and full swings are covered. FOOD & DRINK | Pickling is the new black, and the Argonne Library is hosing a free seminar on Pickling Summer Vegetables, starting at 6:30 pm. LIVE BANDS | Spokane's hip-hop orchestra Flying Spiders takes over the Nest at Kendall Yards during the Wednesday night market. They play at 7 pm. THEATER | The Modern Theater's take on the Bard's Twelfth Night continues its run Thursday. Read a bit about the play here. LIVE BANDS | The Festival at Sandpoint continues with Lake Street Dive and The Ballroom Thieves taking the stage in Sandpoint. FESTIVAL | The Bonner County Fair is taking over the fairgrounds in Sandpoint all weekend, so get ready for some funnel cake and fun in northern Idaho. 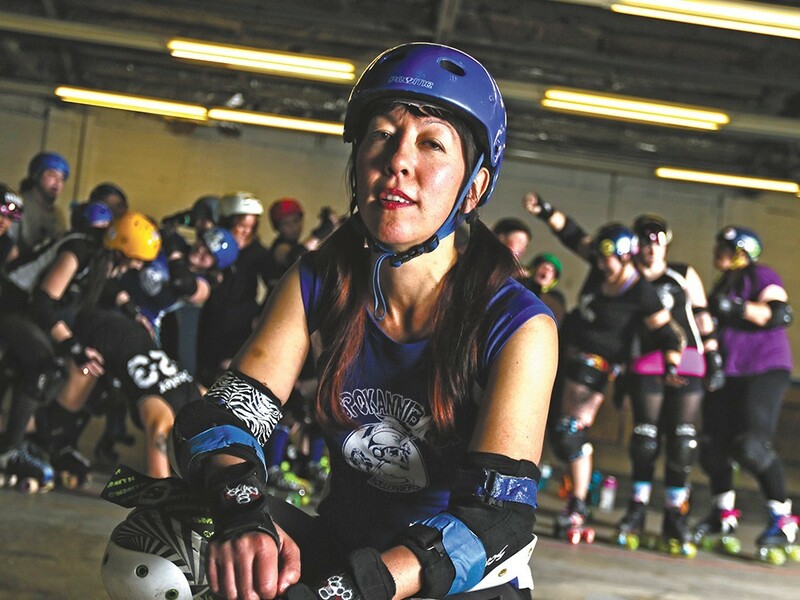 SPORTS & OUTDOORS | Spokarnage: A Killer Roller Derby Tournament is the most fun you can have, or see, on wheels this weekend, going for three days at the Spokane Convention Center. FESTIVAL | Goodguys Rod & Custom Show will fill the Spokane County Fair and Expo Center with all kinds of classic cars, hot rods, trucks and more, all weekend long. FESTIVAL | For the 29th year, the huckleberry will be celebrated in myriad ways at the Wallace Huckleberry Festival in North Idaho. A pie-eating contest? Sign me up! COMMUNITY | It's the Unity in the Community festival at Riverfront Park, a multicultural celebration features performances from local heritage groups, food, kids activities, visual art displays and more. FOOD & DRINK | The Green Bluff Peach Festival will surely draw plenty of folks looky for some juicy goodness.